With less than a month to go before the 2018 Longines Global Champions Tour and GCL team series calendar kicks off in style, excitment is building for another season of passion, high-octane action and top class sport. 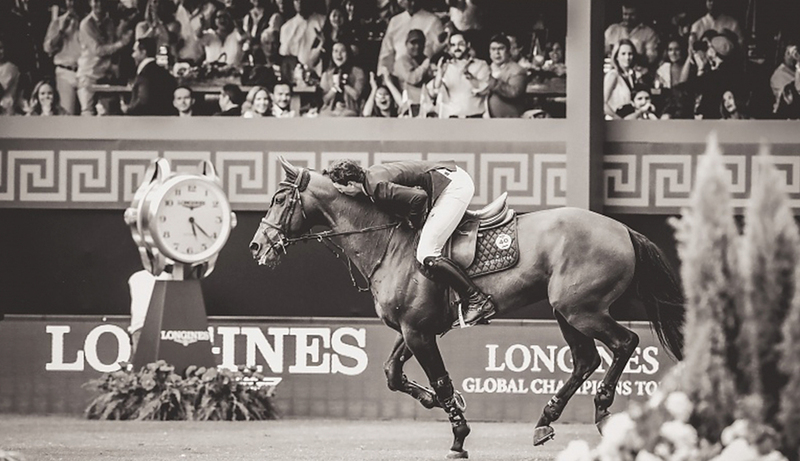 Putting the world’s best riders and horses head-to-head in the most breathtaking locations around the world in a 17-event calendar, the Longines Global Champions Tour and GCL series brings top tier sport from spectacular locations to a worldwide audience. The sport’s leading riders and horses will unite to compete in the groundbreaking Championships, visiting jaw-dropping locations across Europe, The Americas, Asia and The Middle East. The circuit takes in such iconic destinations such as on the Atlantic shoreline of Miami Beach, Paris by the Eiffel Tower, Shanghai, London, Mexico City and Doha with two new events for 2018 — the Riviera resort of Saint Tropez and Czech’s capital city, home to the new, Global Champions Prague Play-Offs, which will be the ultimate showdown for the world's best show jumpers. Last season’s Longines Global Champions Tour Grand Prix winners included the likes of world number one Kent Farrington (USA), talented young rider Martin Fuchs (SUI), Italian riders Alberto Zorzi and Lorenzo De Luca (ITA), the 2016 LGCT Champion Of Champions Rolf-Göran Bengtsson (SWE) and reigning LGCT title-holder Harrie Smolders (NED), Christian Ahlmann (GER), Qatari hero Bassem Hassan Mohammed and Olympic gold medallist Scott Brash (GBR) to name just a few. With such big names set once again to go into battle, this season's dramatic showdown looks set to be a mouthwatering feast of top notch sporting action. Tickets for many of the events are already available - please click here to find out more.